Habitat: Desert. 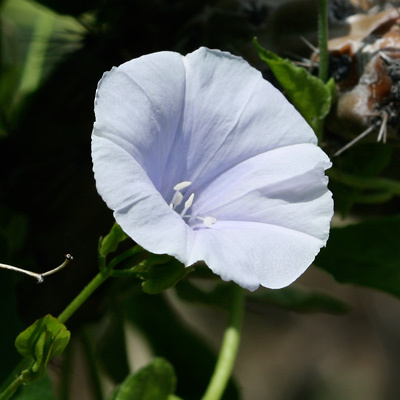 Pringle's Clustervine grows on rocky slopes and in the mountain foothills. 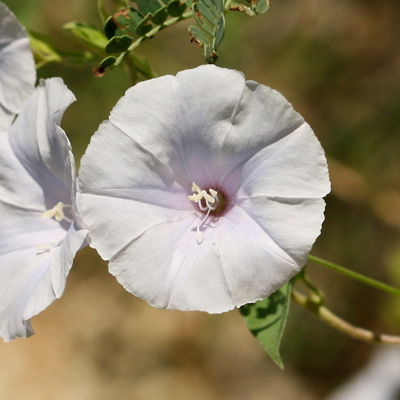 It is especially common in the foothills of the Santa Catalina Mountains. Flowering Season: Spring (late), Summer, Fall (early). 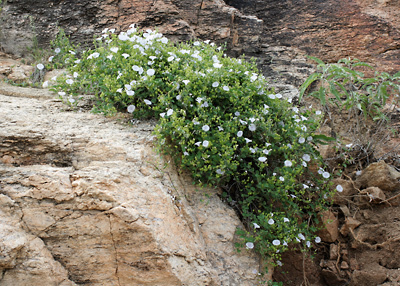 It mainly blooms after the summer monsoon rains. 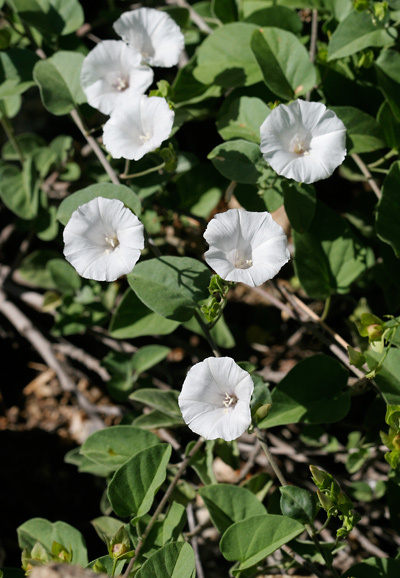 Description: The flowers are in loose clusters of 1 or more. 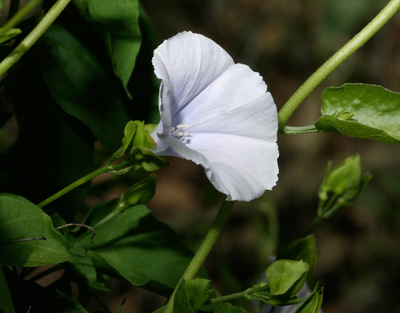 The individual flowers have a funnel-shaped, morning glory-like corolla and 5 green, leafy, egg-shaped sepals. 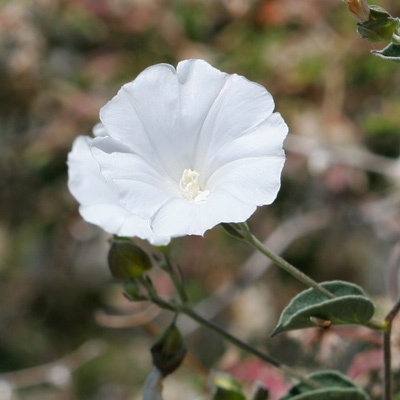 Some of the flowers have a magenta throat. The leaves are up to 2 inches (5 cm) wide, green, stellate-hairy, alternate, and oval to heart-shaped. The stems are usually fuzzy (rarely hairless) and woody at the base. The plants are either low, compact, mounding shrubs or rambling vines climbing through other plants. The other Jacquemontia species found here, Midnightblue Clustervine (Jacquemontia agrestis), has blue flowers with lanceolate sepals.